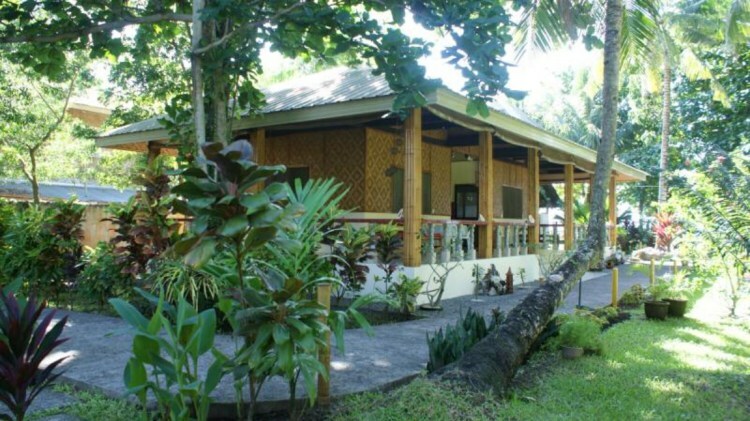 Camiguin Hotels and Resorts got richer in choice and better in quality. Many of them have recently been overhauled and upgraded. Guests have now a real choice. There are simple cottages on the beach for a few pesos. There are also a few luxury resorts on the beaches and in the mountains. Many resorts are family driven and managed by the owner. This makes the stay very special, you are not only a customer but a guest and friend. 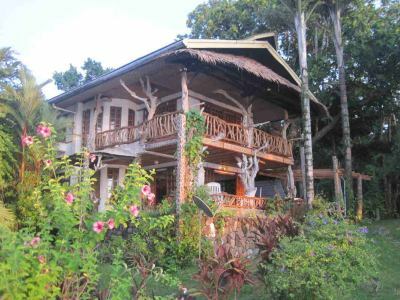 Cottages / Homestay / Bed & Breakfast and other low cost accommodation can be found here! This list is strictly in alphabetic order. We are sorry for the Zyklone Resort! 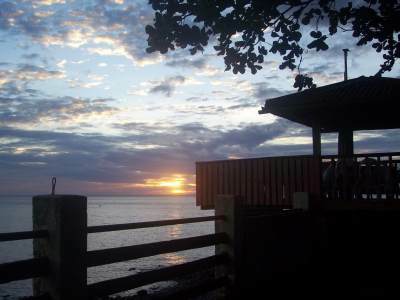 Algen's Dive Resort is 11km east of Mambajao. Nearest div resort to Mantigue island. Direct access to the hot springs. 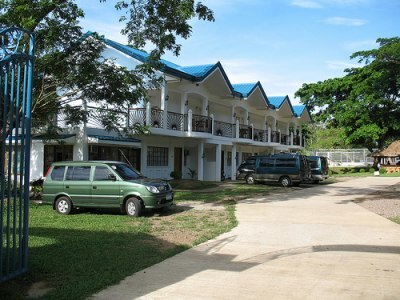 This resort is owned and managed by the municipality of Mambajao. 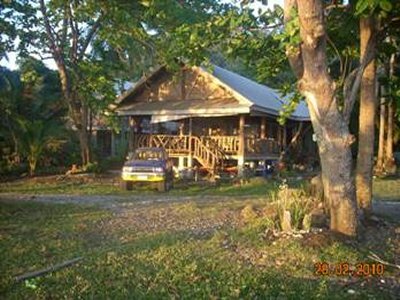 Bahay-Bakasyunan sa Camiguin or short bbc is just aside Balbagon port. The resort has no beach but a large swimming pool. The "bbc" is one Camiguins few upper scale resorts. 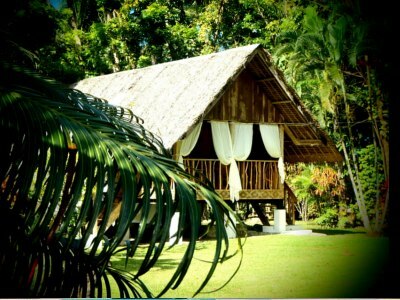 You stay in your very own luxury cabana, with all the modern amenities to keep you comfortable while in paradise. 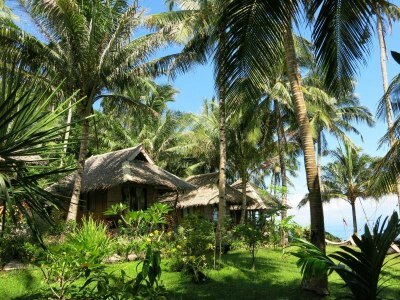 Balai sa Baibai is a Bisayan phrase that literally means "house by the beach" it also plays on the Thai term "sabai-sabai" which means to relax and chill out. 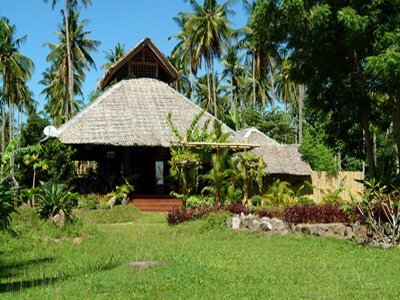 Put together Balai sa Baibai means your relaxing home by the sea. Cocoy & Elden aim to serve a diverse adult clientele from the Philippines and beyond who are looking for the opportunity to immerse themselves in the local culture and have time for indulgent relaxation. 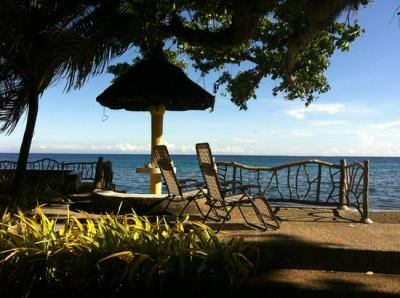 Cabua-an resort has no beach although it is on the sea shore. The resort lays some minutes on foot outside Mambajao town. 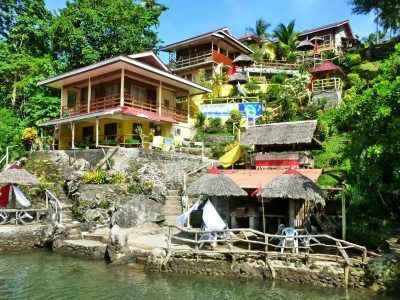 Cabua-an beach resort is an affordable & homey haven, great for honeymooners,tourist & backpackers, and other group outings. All rooms and cottages are with aircon and individual Toilet and Bath. Cable TV are provided in the cottages. WiFi available. Where the Volcano meets the Ocean. A Place like Paradise available on Earth. 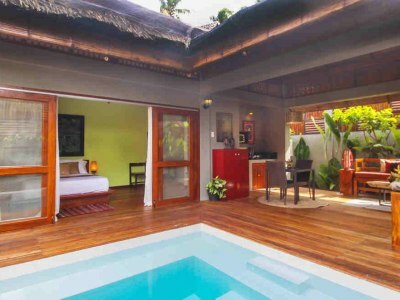 Right by the sea and skilfully nestled in a picturesque palm grove. The resort also has a restaurant and a bar. Sometimes they have live music and jam sessions. On a cliff over the Bohol sea. Great sights and sunsets. Nice garden. Caves Dive Resort is a beachfront property located in Agoho Beach across the famous White Island in Camiguin and Bohol sea. Caves Dive Resort has its own dive facility. 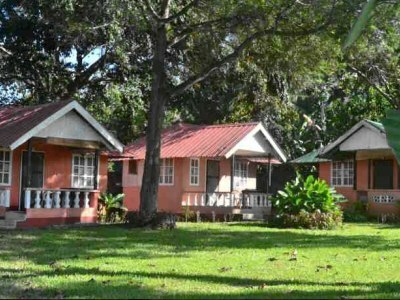 The bungalows are in a park behind the restaurant and main building. 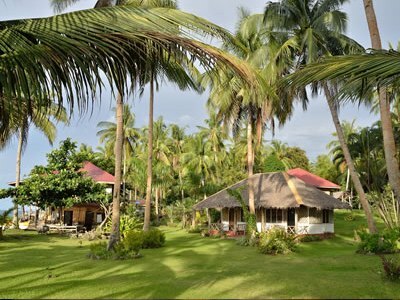 Coral Dive Resort is the only hotel on the west coast of Camiguin. If you are a sunset adict, this is the right place for you. The beach is of boulders and pebbles. Nice cottages on a rocky cliff. The resort has also a restaurant. Breakfast included in room rates. Just a side a small fisher port. Dreamland Beach Resort has 19 rooms on a sandy beach facing white island. Th resort has its own restaurant. 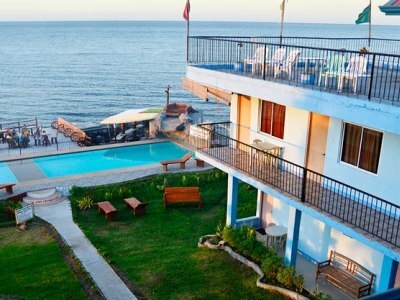 Ferrabrel Beach Resort is on the sea shore near the port of Balbagon. The resort has a very large garden and is known to accommodate wedding paries. The beach is a mix of sand and pebbles. 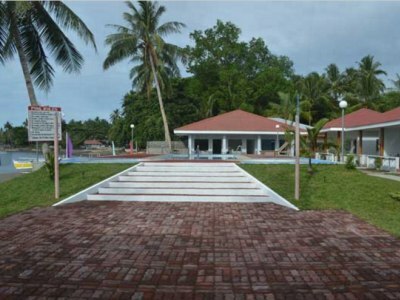 Camiguin Island's favorite beach resort has recently completed some renovations. Overlooking spectacular ocean views with the most pristine sunsets imaginable. With over 61m (200ft) of private beachfront on Agohay Beach 'The Beach Club' as it is know locally is reputedly the best spot to observe the 'Golden Sunsets'. The restaurant offers good fresh wholesome food selections. Currently the only town hotel in Mambajao. 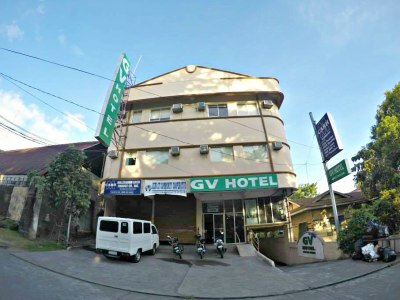 The GV Hotel has 44 rooms from single to deluxe family. 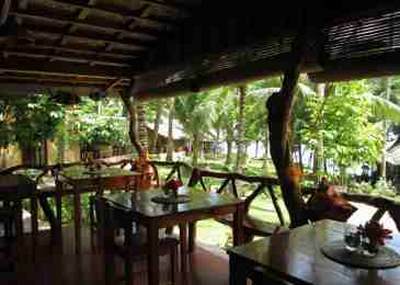 If you are for business on Camiguin island, this hotel may be fine for you. Most administrative offices are within 2km - meaning walking distance. 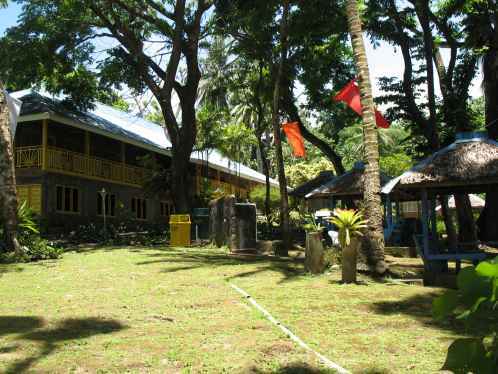 The Camiguin Highland Resort lays uphill near the famous Katibawsan falls. Former Philippine president, Gloria Macapagal Arroyo, used to stay in the presidential suite. 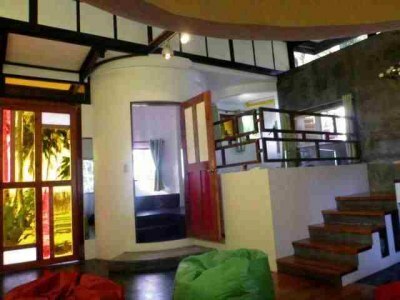 Camiguin Highland Resort boasts of a three-story building, exuding class and luxury. The building is of solid structure in Mediterranean in design. An absolut must to go is the "Infinity bar" on the top of the building. This one of the places to see sunsets. Nice swimming pool on the rocky beach. Wellness! This resort lays in a forest clearing surrounded by tropical nature. The resort has its own spring and a wonderful refreshing pool. Nype Style resort offers wellness packages with massage and yoga. They produce their own natural oils and juices. 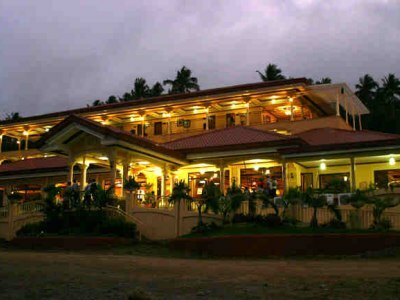 Paras Beach Resort is one of the largest, most long living and rather luxurious resorts on Camiguin island. 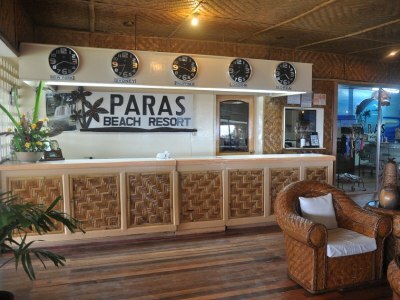 The Paras Beach Resort is professionally managed. It offers all amenities of a great house. 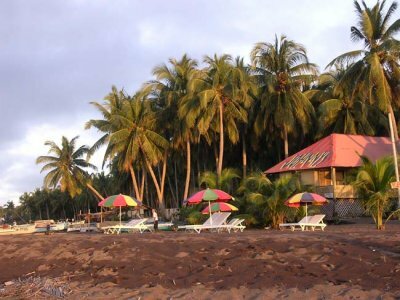 The Seascape resort is at the end of the sandy beach between Agoho and Bug-ong. A spacious parc directly on the sea shore. 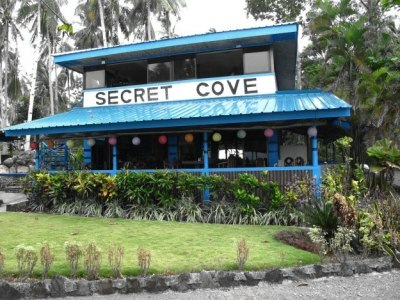 Secret Cove Beach Resort and Restaurant is managed by a Filipino / Canadian couple. 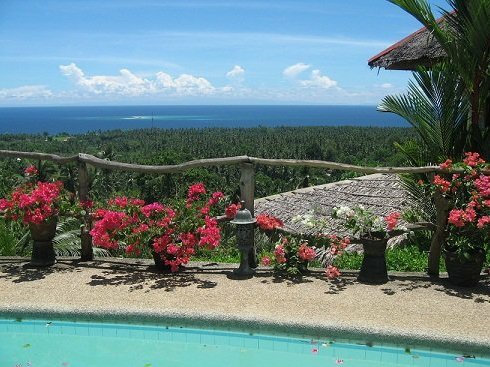 Secret Cove is located on approximately 1 Acre of land fronting the Bohol Sea (right across from White Island). SomeWhere Else Boutique Resort offers luxurious accommodations in total harmony with its surroundings. The place is aimed towards comfort and excellence - an invitation to new experiences. Inspired by modern architecture with minimalist details, Le Pavillon was designed to bring you the privacy and serenity you deserve. It is the place of perfect relaxation. Le Ryadh organizes life in a three-dimensional concept. There is only few information available about Turtle Beach Resort. If you are the owner, please get in contact with us. Currently the only resort in the town of Mambajao. 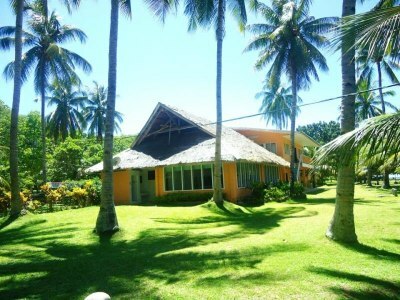 Villa Paraiso is recommended for business trips and recreation. Villa Paraiso has its own swimming pool and tennis court. Villa Paraiso can accommodate business meetings and offers a function hall.